Father’s Day Gift Idea: Tessel Bag and Giveaway! I have been wracking my brain for an original idea of a gift that my husband would love for Father’s Day this year. If you missed our Father’s Day gift guide you can check it out HERE. But I recently discovered the Tessel Bag and I know my husband will love it! This bag looks professional enough to use in the office, but it is durable enough to endure a weekend trip or hike through the woods. My husband has been dragging around an old hiking backpack that he uses for weekend getaways and even as his go-to church bag and I just love the look of this sleek bag. It comes loaded with pockets, magnetic hardware, and different pieces so that you can customize it to your needs and adventure. With color options of Deep Space Black and Lunar Gray, it fits every color scheme and personal style. You can save 20% during Tessel’s Father’s Day sale (June 14-21) by using the promo code “dadjokes” at checkout. 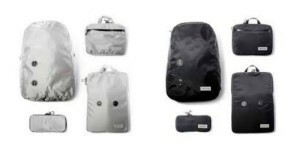 These packs offer versatility and high quality that will last for years. I imagine if your husband is anything like mine he hasn’t bought himself a new bag for his things in years. Because honestly, they don’t think about it much, right? Tessel comes from the word “tessellation”—the repetition of a shape into a pattern. Through its products, Tessel seeks to infuse creativity and utility into the pattern of your everyday life. 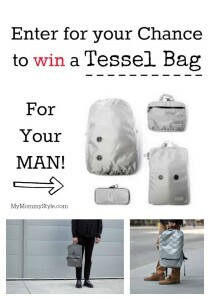 I am so excited to be teaming up with Tessel for your chance to win one of three Tessel bags for your MAN!! Exciting things are on the horizon for Tessel. The Tessel team is gearing up for the release of the new Special Ops line, as well as a second version of the unique Jet Pack line later this year. Visit tesselsupply.com to learn more. Also, join the Tessel mailing list here or below for a chance to win one of three amazing Tessel bag systems, and stay up-to-date with all the latest and greatest Tessel news. Be patient with the Rafflecopter as it may take a few minutes to load and know that your email will not be sold or shared!